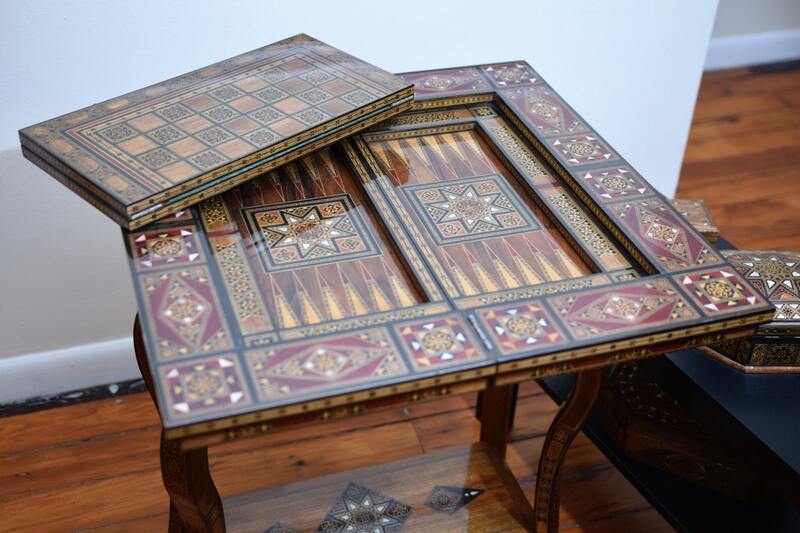 A wooden game table, made completely by Syrian hands. 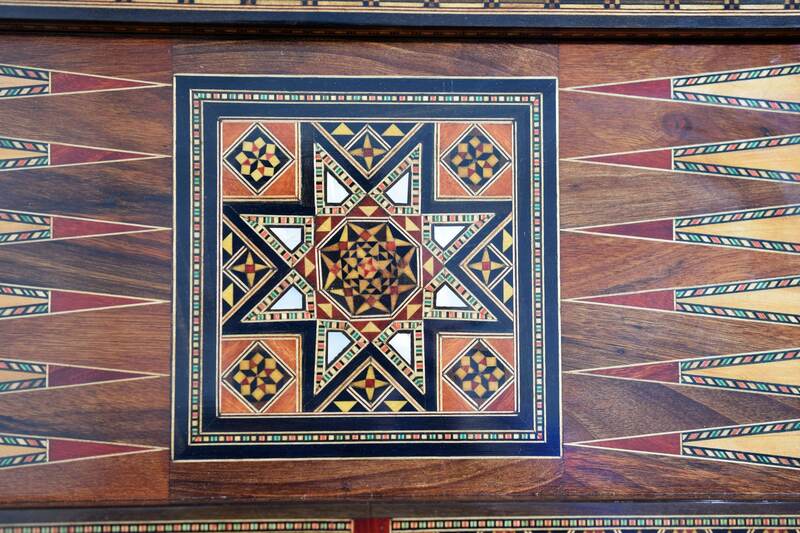 Backgammon, Chess, and playing cards table. 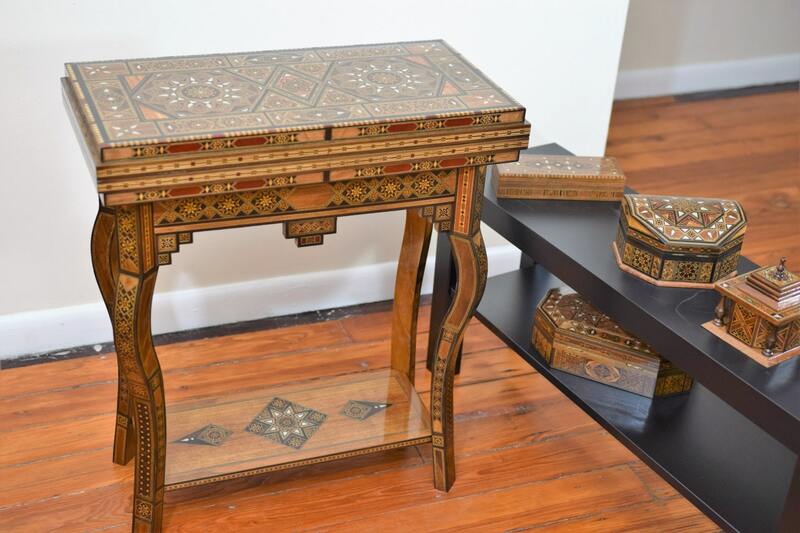 Large number of different fruit woods pieces, and genuine mother of pearl used to inlay all the parts of the table. 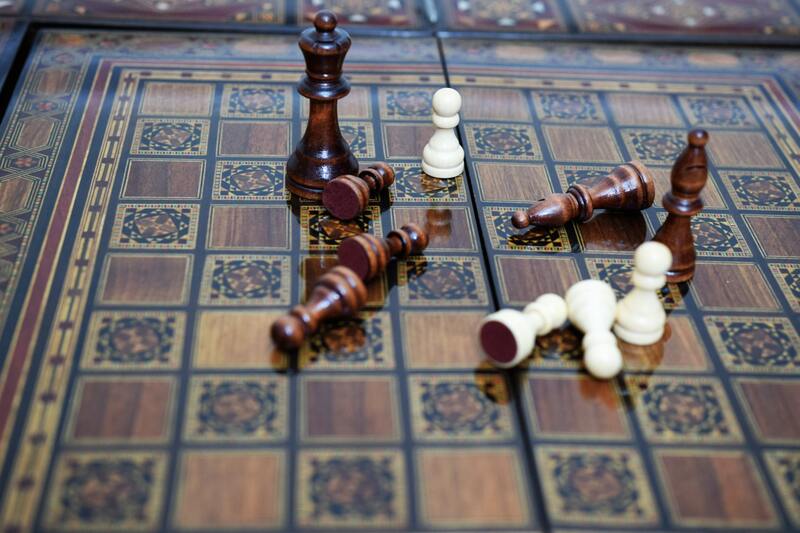 A piece of Art. will become valuable antique by time. 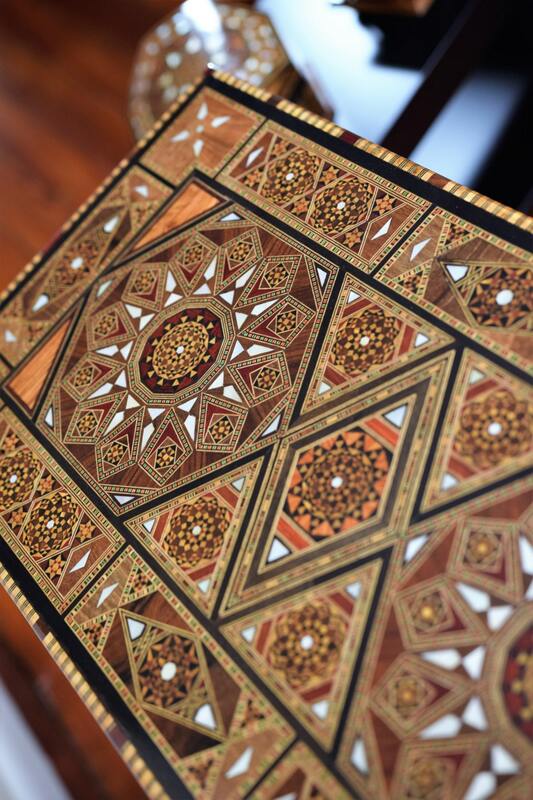 This piece has been carefully crafted by Syrian artisans skilled in the tradition of marquetry, a delicate craft where beauty, intricate geometric ornamentation, fine craftsmanship and functionality are all intertwined. 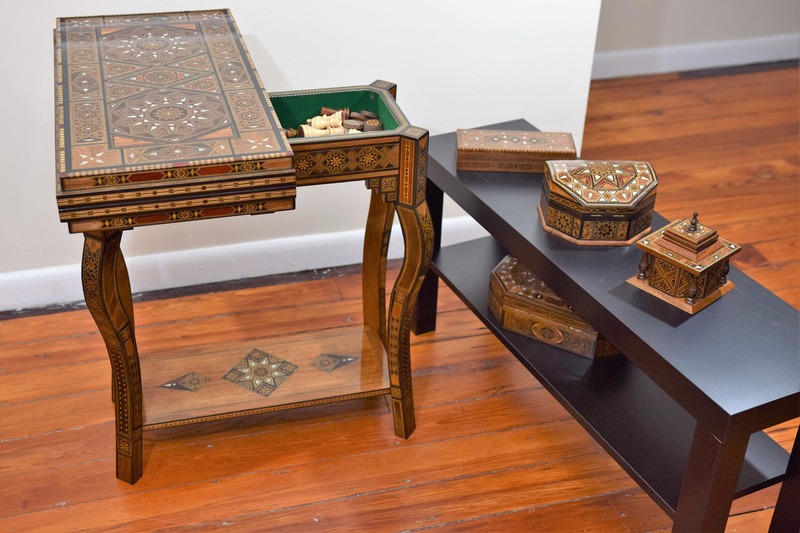 This elegant jewelry box is truly a jewel in itself. 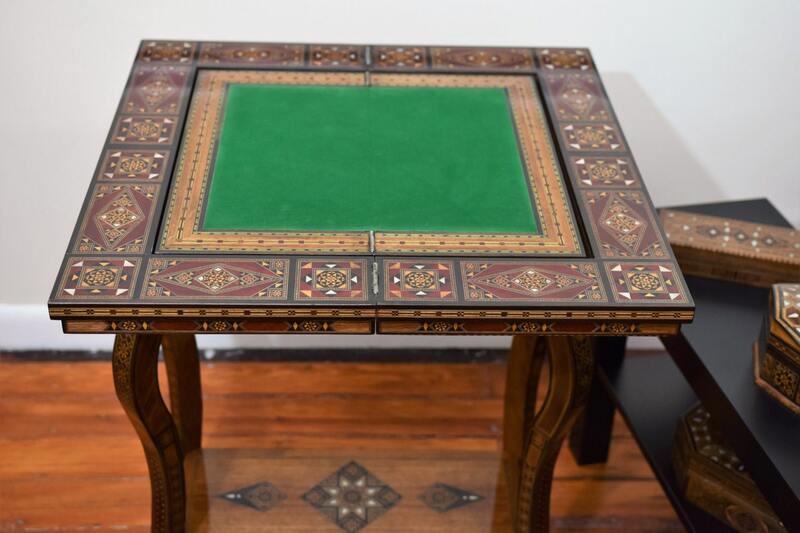 Either standing alone as a majestic decorative piece, or used to Play backgammon, chess, or cards, this game table will surely be a treasured gift that will please even those with the finest taste. 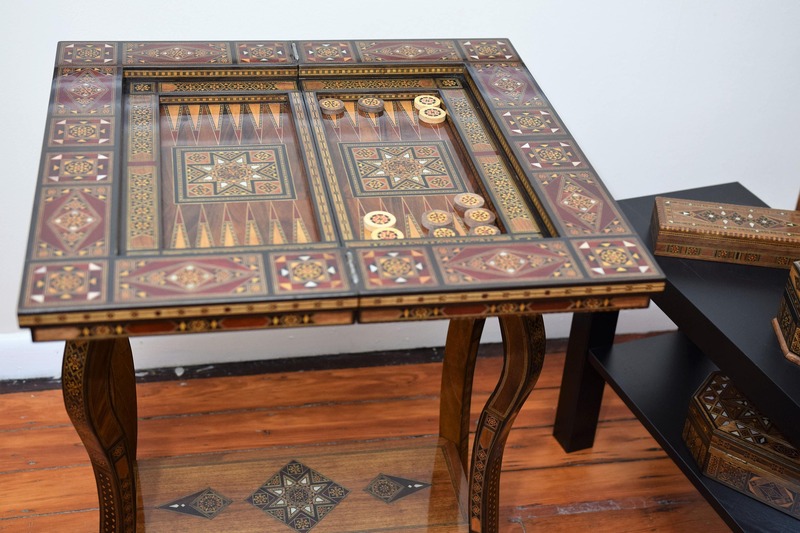 Backgammon and Chess pieces are included. 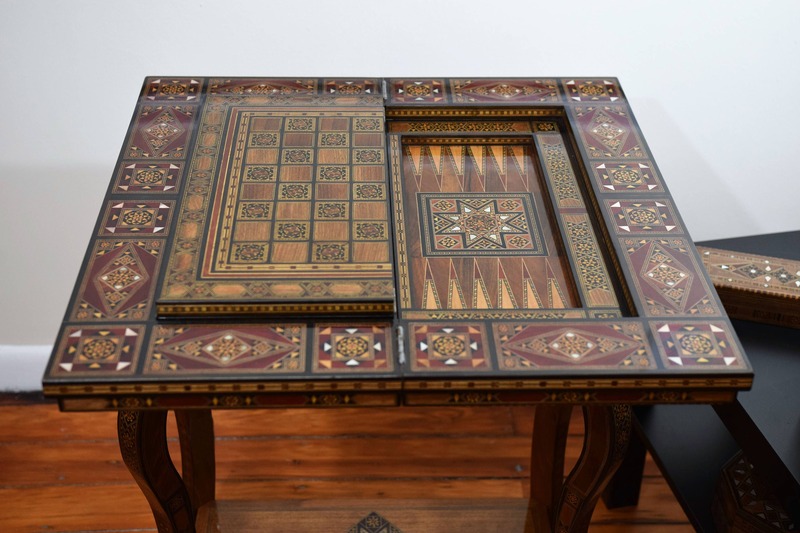 24 X 24 Inches ( when opened ) and 24 X 12 inches ( when closed ) .